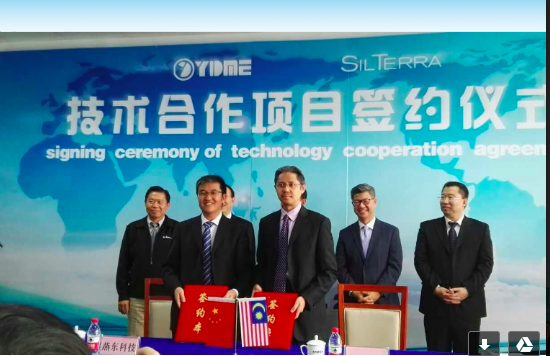 SilTerra Malaysia Sdn Bhd has been selected as a key strategic partner by China’s leading microelectronics producer, Beijing Yandong Microelectronics Co. Ltd. (YDME) to set up an 8-inch wafer fabrication plant in Beijing. YDME is a subsidiary of Beijing Electronic Holding Company (BEHC), a state-owned high-tech enterprise that has developed into one of China’s leading integrated circuit and device manufacturers. The new YDME fabrication plant, is listed as one of 20 key projects of the Beijing Science and Technology Creation Centre in 2018. It is earmarked to serve as an integrated chip production plant integrating 8-inch chip research and development, manufacturing and packaging. Since 2016, YDME has engaged SilTerra to provide multi-tier strategic consultancy that includes planning, design and construction of the fabrication plant, setting up of the IT and quality assurance system as well as technology integration. According to YDME, the upgrade for the new 8-inch fabrication plant is estimated to involve an investment of 4.8 billion yuan (RM2.9 billion). Covering 73,260 square meters, the plant is expected to be in operation by Q1 2019 and estimated to generate a monthly output of 50,000 wafers per month. SilTerra recently completed the training of 81 engineers and managers who are intended for the new plant. “Almost all of the key staff that will be working at the new YDME plant will go through three months of intensive training at our Kulim plant. It is an honour to be chosen as their strategic consulting partner in this important project. 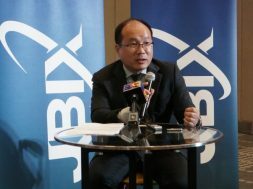 “It is a testimony to our 20 years of experience and know-how on independently running a fabrication plant and shows that a Malaysian company has been recognised as achieving standards high enough to be consulted on by Chinese companies,” said SilTerra Chief Executive Officer Firdaus Abdullah. YDME Chief Executive Officer Dr Huai Yong Ji said, “We are delighted to partner with SilTerra in this new role as a consulting partner, having worked with them since 2016 on the 8 inch fabrication plant. 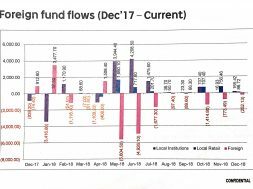 Commenting on SilTerra’s future direction, Abdullah said that SilTerra is on track to producing higher valued products and services such as in the areas of life sciences, internet of things (IOT) and automotive. “To achieve this, SilTerra embarked on an internal transformation process which began a few years ago.